Published July 19, 2013 at 2414 × 4372 in Samples of Our Work: Frames. 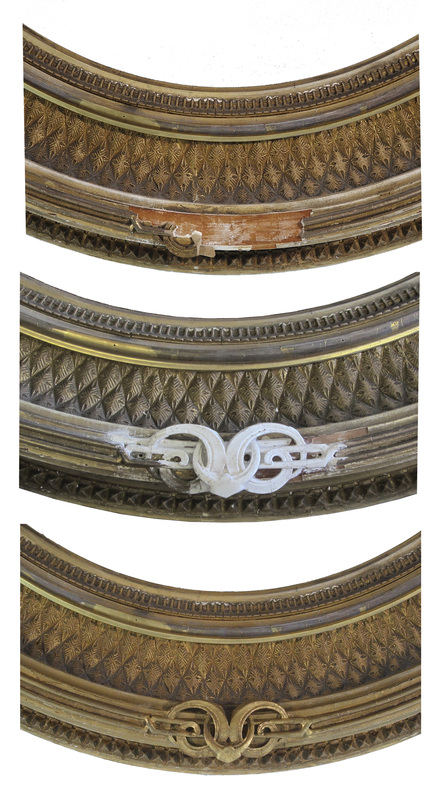 These details show the treatment of the frame’s major area of loss. Before treatment (top), the bare wood is visible. The missing ornament was recreated in a resinous plastic, poured into a mold made from another area of existing ornament. In the middle picture, it has been attached. The bottom picture shows the area after toning the new ornament.